This textured cuff is a classic in any collection. 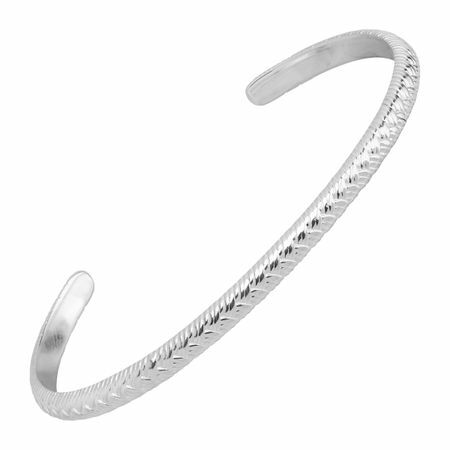 Criss-crossed etchings gives this sterling silver cuff bracelet a dimensional feel with ease. Bracelet measures 6 inches in circumference and features an easy slip-on design. Piece comes with a “.925” sterling silver stamp as a symbol of guaranteed product quality.